Additional coverage with breathable mesh takes the OutCross 1.5 an extra step down the evolutionary chain, while coral-inspired designs add a pop of interest to the upper. Featuring a collapsible heel and lightweight construction for an option that's easy-packing and travel-ready. You never know where adventure will take you . . . 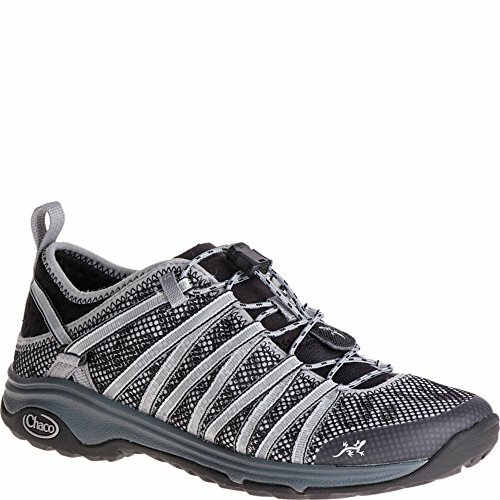 Which is why you choose the travel-ready, versatile performance of the Chaco® Outcross Evo 1.5 hiking shoe. Breathable mesh and textile uppers boast coral-inspired design elements. Bungee lacing closure allows for easy, on-the-go adjustments. Film toe cap offers durable protection.